Abstract: As the economy develops and the living standard rises, the number of private cars soars over time. The traditional transports bring about many troubles, e.g. traffic jam. What is worse, the exhaust from private cars adds to the deterioration of air. Under such circumstance, Airwheel X8 comes into being, offering a juicy experience of riding to you. Such traditional transports as bicycles and electrically-assisted scooter facilitate the convenience of people’s locomotion in a way. However, they also give rise to many banes. They tend to occupy a large space when being parked. Also, sometimes, their power unexpectedly runs out half way so that you have to trundle them to the destination. Although the private car travels faster, it is uneconomical, subject to traffic jam and produces a whopping amount of emission. Is there a green, cost-effective and convenient transport? The answer is definitely yes-Airwheel electric scooter. The aerospace control theory and fuzzy software algorithm are introduced in Airwheel electric intelligent scooter, so it is named as scooter or intelligent vehicle. Compared to the traditional transport, Q5 is more slim and suitable for a short-distance strip. On the account of its compact size, it can weave through the crowded road; on the account of its light weight, it is convenient and easy to carry everywhere at will. It weighs merely 11 kg, but it holds a range of 23 km and a top speed of 18 km/h. This adds to convenience. Whether you go to work or school or go for excursion, Airwheel self-balancing electric scooter will keep you company. As a necessity, the durability assumes a great importance. In view of the importance of durability, Airwheel adopts high-quality material effectively resistant to impact, vibration and high heat. The battery built in Airwheel can be recharged 1800 times, 3.8 times as many as the common battery. Safely, the battery is non-explosive and non-combustible. The carbon-fibre grain sets off its stylish exterior and its understated elegance. 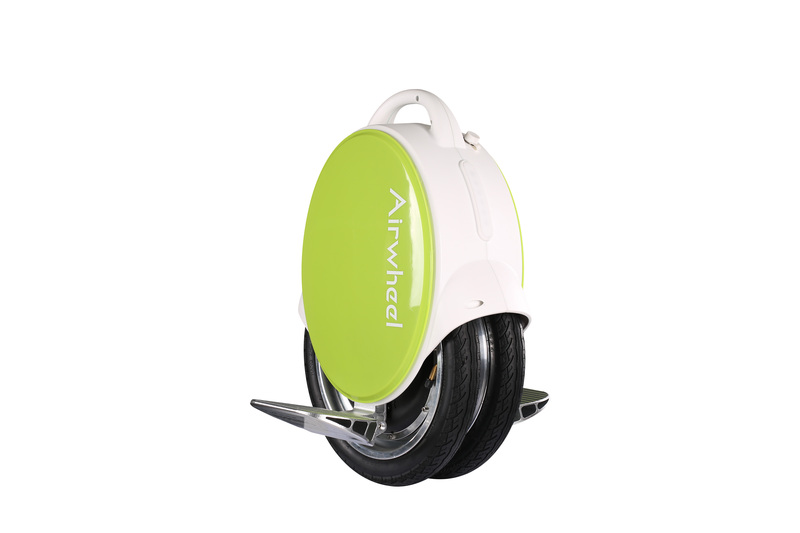 In order to keep up with this rapidly-developing time, Airwheel electric scooter is your fist necessity for green locomotion. Next：Airwheel X3 monociclo eléctrico inteligente inicia un estilo de vida de moda.